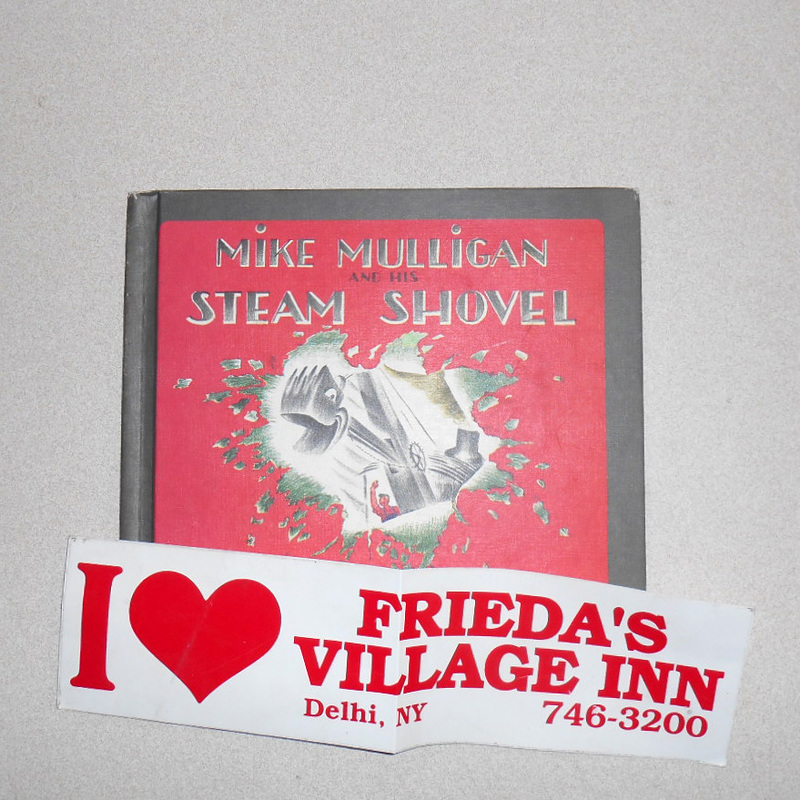 Bumper sticker advertising Frieda's Village Inn, Delhi New York. Found in "Mike Mulligan and His Steam Shovel" by Virginia Lee Burton. Published by Houghton Mifflin, 1967, later reprint.